We have updated our webmail UI. Please refresh your browser to get the latest. Enjoy the new features! Xplain Hosting has finished protecting all its Drupal customers against a critical security vulnerability recently found in Drupal 6, 7 and 8. A FAQ was also released to address the impact of SA-CORE-2018-002. 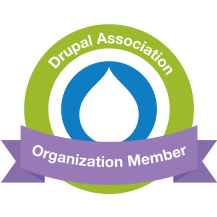 Xplain Hosting was one of the first Drupal hosting companies to have patched all its customer systems. Our webmail has now been updated to RoundCube 1.1.10, the latest LTS version. phpMyAdmin to the latest available version 4.7.1. The Drupal Console is a suite of tools run from a command line interface (CLI) to generate boilerplate code and interact with a Drupal 8 installation. From the ground up, it has been built to utilize the same modern PHP practices which were introduced in Drupal 8. Drupal Console provides a number of commands for creating module scaffolding and boilerplate code. For any command, you will be asked a series of questions about what you want to generate. Based on that user interaction, it will then generate the required boilerplate to build the requested component. Drush stands for "Drupal shell" which means a powerful tool for managing Drupal installation from command line interface. Drush provides a lot of useful commands for dealing with a cache, modules, cron, database etc. But some of contrib modules also provide some extra drush commands for specific functionality (like features module comes with commands for managing features). Here's a bunch of a useful drush commands which I use every day.